Albaro's Mexican Food was established on 1995 in Highland, California by de Gomez' Family, they are immigrants from Santa Matilda, county of Santo Domingo, state of San Luis Potosi, Mexico, Edith Gomez and family after several intents to established a Mexican Food Restaurant, finally they find the way to offer Real Mexican Food, on the Fast Food Restaurant basis. Edith Gomez always try to offer the best Real Mexican Flavor, the ingredients are always the most fresh and the first quality, Edith also give especial attention to the Cleanest of the Place and a the quality of your service. 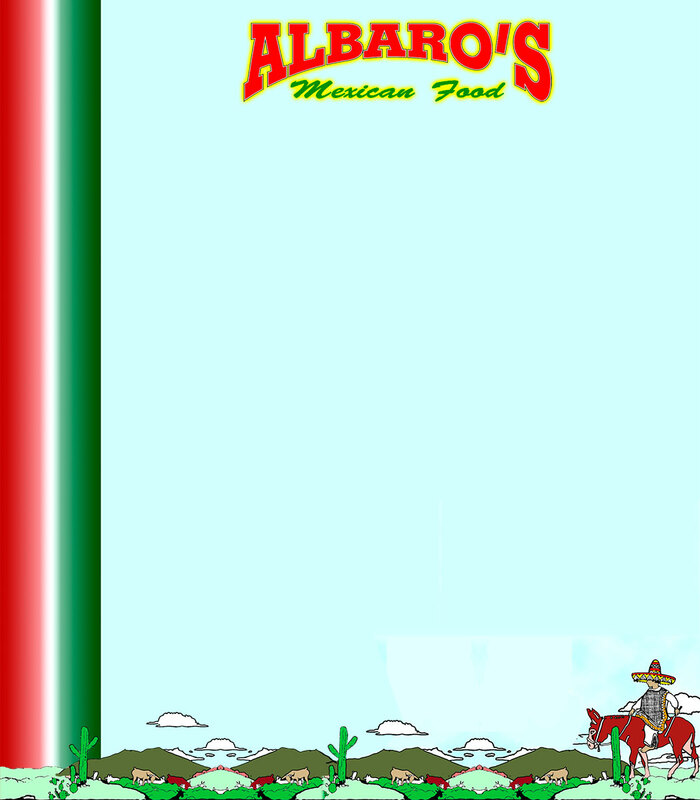 Since 2007 Albaro's Mexican Food is also offer Catering Service for any event and from 10-1000 people.